See our part list below. At Specialized Electronic Services, we are one of the largest ABB ACS800 Service and Warranty Centers in the Texas, Oklahoma area, and we are experts in ABB vfd drives repair. We can sell, service, and repair the entire ABB ACS800 vfd drives. We have extensive design and start-up experience with all ABB ACS800 vfd products. We also have factory trained and certified repair technicians and engineers at Specialized Electronics. 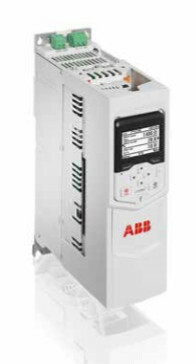 Whatever your needs may be with ABB ACS800 vfd equipment, we have the solution for you. We have had seven training classes at the ABB factory on repairing and start up procedures for their product lines. At Specialized Electronic Services, we are one of the largest ABB ACS800 Service and Warranty Centers in the central US. We are experts in ABB ACS800 repair. Below is a partial list of the ABB ACS800’s we have worked on and sold. At Specialized Electronics we have done retrofits of the ABB ACS800 as well. We are constantly working with the ABB Factory in Milwaukee Wisconsin to ensure our technicians and programmers are well versed in all ABB vfd products. Be sure to contact us for any application, sales or service questions you may have. We have many ABB ACS800 drives for sale so call us to compare pricing if you feel you have been paying too much for your ABB drives. We even work on the ABB drive private labeled by Saftronics. We may have an ABB drives manual, or an ABB drives technical handbook, or a technical guide book. Call us today! You can reach our sales department at 1-800-681-7374. All-compatible machinery drives – persistent and adaptable performance. The all-compatible ABB ACS800 drives provide high performance, adaptability and dependability for machine building needs. The drives help machine builders improve machine performance and provide more added value for their customers, while simultaneously cutting integration and maintenance costs. The ABB ACS800 drives are part of ABB’s all-compatible drives portfolio, offering technically compatible drives with long-term solutions and support for users, processes, business and the environment.